Intellivision TURBO Cartridge by COLECO HTF RARE! TESTED! MINT CONDITION LABEL!! Coleco Intellivision - The Official TURBO by Sega - Game Cartridge Only -LOOK! 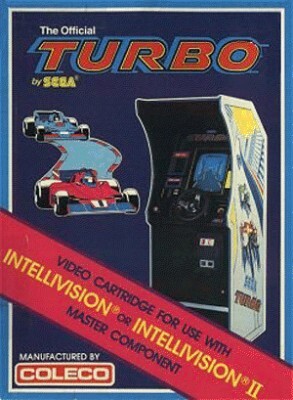 Very Rare - Intellivision Turbo by Sega (1983) - Excellent!